The JCAM Charitable Foundation is moving forward with plans to restore and transform the historic Ohabei Shalom Chapel into the East Boston Immigration Center. The Exhibit Hall will bring the richness of Jewish life, culture, family and business found in the early Mystic River communities of East Boston, Chelsea, Everett, Malden, Medford, Revere, Somerville and Winthrop in a unique, educational, and historical setting; making this Boston’s premier Jewish tourist and visitor destination. The Exhibit Hall will be designed with state-of-the-art computerized imagery throughout. The oral histories recorded through videotaping and artifacts attractively displayed will allow visitors to interactively hear and learn what life was like in these bustling immigrant neighborhoods. 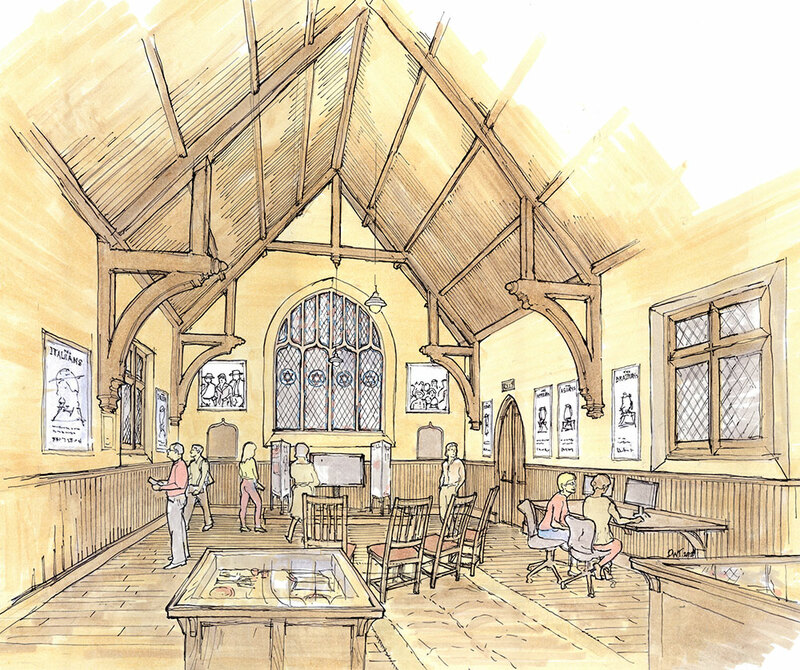 The design of the Exhibit Hall will reflect the “chapelness” of the existing building, being mindful of the Victorian era in which it was built, yet allowing 21st century innovation and technology to meld the legacy of the past with the advancement of Boston’s Jewish culture into the future. The chapel Exhibit Hall is at the historic Ohabei Shalom Cemetery, founded in 1844. It will be a unique experience for visitors and educational groups to take in the sights, sounds, stories and artifacts from those towns along the Mystic River that bubbled with Jewish life, faith, music, culture, business and enthusiasm. 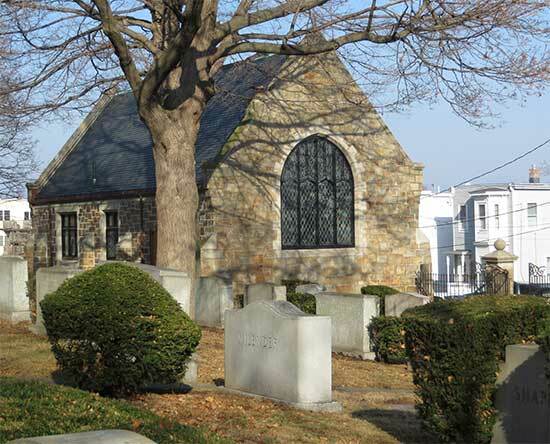 The Ohabei Shalom Chapel is located on the grounds of the first Jewish cemetery in Massachusetts, founded in 1844. 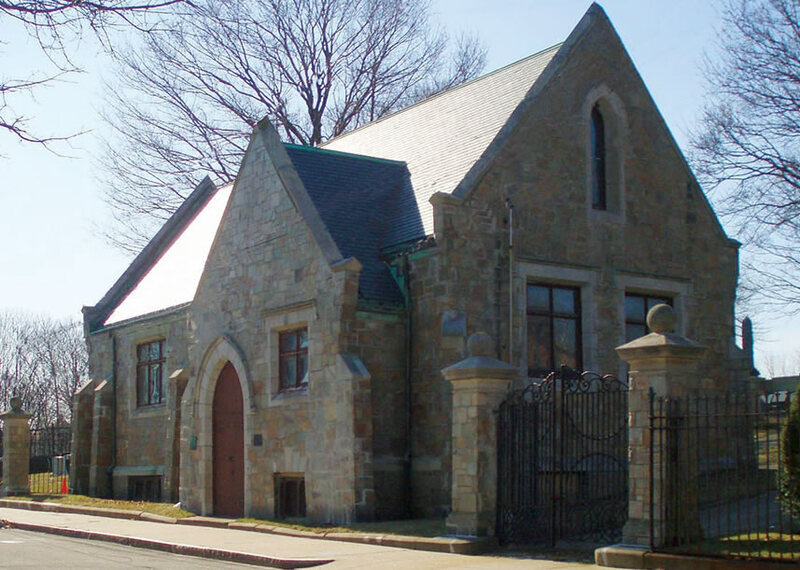 This beautiful fieldstone neo-gothic chapel was built in 1903 and is listed on the National Register of Historic Places and is a recognized historic landmark by Bostonian Historical Society and Combined Jewish Philanthropies of Greater Boston. We invite you to join us in this far-reaching $3.5 million historic project. Make your tax-deductible contribution to the “JCAM Charitable Foundation” for the East Boston Immigration Center and Exhibit Hall. To share your ideas and information,contact us at the JCAM Charitable Foundation at 617-244-6509.